The schedule for the 40th annual medical camp is now available. In the viewer below you will find the 40th medical camp schedule, which details the various medical specialties and when they will be performed. The schedule specifies the days, set dates of examination, and set dates of operation for each specialty. The schedule may be downloaded here. Jaya Rehabilitation center was founded in the wake of the 2001 Gujarat earthquake which left many survivors disabled and in need of prosthesis and physical rehabilitation. However, more recently the doctors at Jaya were able to lend their services to a young antelope. The story was covered in The Times of India, and can be read in the excerpt below. Bidada International Foundation is most well know for its annual mega-camp held every January in the village of Bidada. 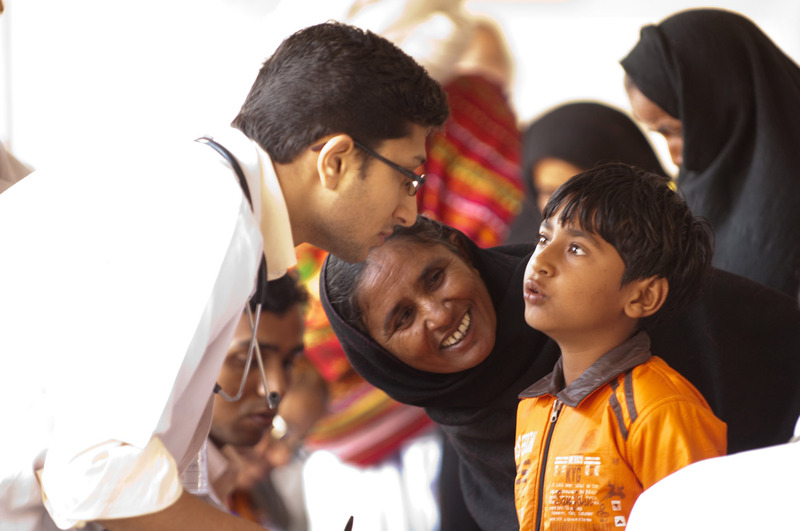 Thousands of people, who would otherwise have no access to proper health care services, are treated by our volunteers in a variety of medical specialties. It is the countless volunteered hours and donations of our supporters that have made our organizations vision a reality and we would like to sincerely thank all of you for the ongoing support. However, while your support for the January camp is greatly appreciated and always welcome, we would like to inform our supports that our efforts are not limited to one camp. Our organization also organizes several smaller camps throughout the year focusing on specific medical specialties. We are looking to raise awareness. Below you will find our 2012 Camp Calendar. The year that has been long awaited by many prophets is here, 2012 is going to be a year of many positive changes. It also marks the beginning of another successful year at Shree Bidada Sarvodaya Trust, we have just completed the 38th annual medical and surgical camps. We would like to thank our generous donors for their continued support of the noble mission of providing medical care to the impoverished population in Kutch. Our many months of planning and preparation have led to many accomplishments this year in the spirit of 2012. The overall camp numbers are in, a total of 23,148 patients were treated this year during our 38th camp. A total of 952 operations were performed here this year, and an additional 97 cases were sent to Mumbai for major surgery. We also provide 55,391 free meals to patients and families during there stay. There are so many miracles that happen every year during camp, it hard to decide on only a few. We wanted to take this opportunity to share with you the highlights of this year’s camp. We started on a very busy note seeing 275 patients on our first day of orthopedic camp, with 17 surgical cases. During our general surgery camp we had the case of a 42-year-old father of two children who presented with advance oral cancer that had spread to his neck and lymph nodes. We performed surgery and removed his tumor, and all the malignant lymph nodes. Then we performed a skin graph from his chest wall to close the case. We have arranged this patient to follow up in Ahmadabad general hospital for free radiation treatments. We have sent all his surgical reports and lab work to Ahmadabad general hospital, in preparation for his course of radiation therapy. We have established open professional communication with all the area hospitals. Shree Bidada Sarvodaya trust has an excellent reputation in the surrounding medical communities, and continues to be one of the most trusted medical camps for high quality medical care. Treating young children with life threatening disease is always difficult work, but when it could have been prevented with a simple antibiotic it becomes heart wrenching. This region continues to have a very high incidence of Rheumatic heart disease, which we see during pediatric camp. It starts as a simple cold, then it spreads to the joints, and gradually moves and infects the heart of the child. Once the heart has been infected the valves become rigid and are no longer able to function. This bacterial infection is easily preventable with a dose of antibiotics. The trust has moved into action with a plan of prevention. In two local farming villages where we had seen a trend of many new cases we sent our medical professionals to educate the parents, the children, the schools and the local doctors about Rheumatic heart disease. In these two villages we have had a 100% success rate and have since had no additional cases from these two villages. Alas, our work is not done this year during pediatric camp we had 54 new cases of Rheumatic heart disease that will need valve replacement surgeries in Mumbai. During Cardiac Camp we saw the case of a 5-year-old girl with a congenital malformation of her heart. She has only 3 chambers in her heart instead of the needed 4 chambers. The operation to repair her heart is very involved and expensive, the trust is covering the full expense of her treatment with a nationally renowned cardiac surgeon in Bangalore. Urology camp had a remarkable case of a 35-year-old man that had extreme right lateral back pain for years. He lived in the state of Madhya Pradesh, over 600 miles away from Bidada, there he had no free medical care. Last year he came to Kutch to work in the farms and for the first time he was able to obtain free medical care for his sever pain. The surgical team from Murjibhai Patel Urological Institute Nadiad laparoscopy removed more than 30 kidney stones from the patient right kidney, enough kidney stones to fill a 2 ounce glass jar. The dental outreach program continues to be in full swing. This year 40 dentists from all over India will come to Kutch to volunteer. They will set up mobile dental clinics at over 28 schools and it is projected they will treat over 2,200 school children. The child health program was busy this year visiting almost 20 schools completing medical screening, vision screening, and education on basic sanitation and nutrition. Last year the program administered over 100 glasses to school children and this year they project to administer the same number. The new gynecologic operating rooms are busy and they are delivering an average of 40 babies a month. It is the projection that this will greatly reduce the high incidence of cerebral palsy in this area as a result of home birthing. Jaya Rehabilitation hospital continues to experience many positive changes, as well. This year marked several first’s at Jaya Rehab. At the beginning of camp they hosted the first-ever paraplegic volleyball tournament. The players were all current paraplegic patients at Jaya Rehab, and the coaches were the physical therapist. The happiness and joy that radiated from the players and supports that night is hard to explain in words. Another first at Jaya Rehab was the first visit from an overseas’ Dean. The Dean from the University of Michigan, and director of the physical therapy program came and spent a week in Bidada in order to start an affiliation with the graduate students from U of M and Jaya Rehab for their clinical education. The year has just begun, but we have already seen so many positive changes and miracles happening here in Bidada, 2012 is going to be an amazing year. We invite you to come and share in the magic that happens here, until then please continue to generously support this noble cause. 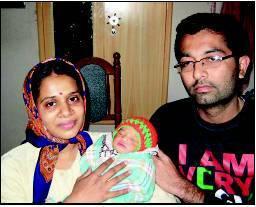 AHMEDABAD: The year 2011 could not have ended on a better note for Jyoti Solanki, 25. The Republic Day earthquake of 2001 had broken the spine of this Sukhpar resident, a village in Bhuj, leaving her bitter and bedridden as a paraplegic for the past decade. But she gave birth to a baby boy this week, considered a miracle given that she is paralyzed from the waist down. “I feel truly complete with the birth of my child. The baby, like his father, has only brought happiness to me,” Jyoti said. Jyoti had hit headlines some years ago with her love story which gave her the courage to fight the destiny prescribed by doctors. Her childhood sweetheart Jayesh started visiting her in hospital after was declared a paraplegic and even wrote inspiring letters to her. The years dragged on and Jyoti, who had barely learnt to sit, completed her schooling till class X. All this while, Jayesh, who got trained as a computer operator and tailor, had kept the stream of letters flowing. In 2007, Jayesh finally proposed to her and Jyoti’s joy knew no bounds. She even started believing she could be well again and underwent more surgeries and rehabilitation to stand on her feet. Many tried to dissuade Jayesh from marrying a paraplegic, but he managed to convince them that he was doing the right thing. They got married in 2010. Mukesh Doshi of Bidada Sarvodaya Trust and Jaya Rehabilitation Center where Jyoti undertaken treatment, says Jyoti delivering a child is the best news of 2011. “Few paraplegics are able to live a normal, married life and become mothers as losing sensation below the waist causes a lot of birth-related complications. Jyoti will give hope to other paraplegics not to give up, ever,” says Dr Doshi. 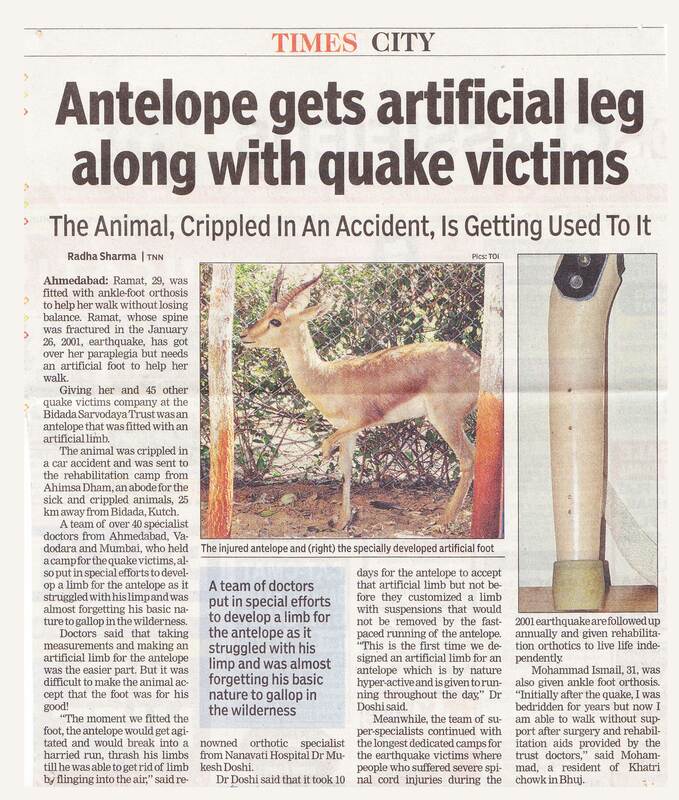 The inspirational story of Mayaben Solanki, a patient of the Jaya Rehabilitation Center and recipient of aid, has been featured on the front page of The Times of India. You may read the story at www.timesofindia.com or simply read the article as quoted below. AHMEDABAD: The earth may continue to shake but Maya does not flounder anymore. This 2001 quake victim has finally found her feet this Diwali as she started walking recently with the help of elbow crutches after ten long years, with her daughter – her only solace – by her side. “I am walking on my own feet after a decade. Holding my little daughter’s hands, I believe I will be able to stand on my feet and show the world I can,” says Maya Solanki who resides in Anjar, Kutch. On Thursday, a 5.3 tremor shook Gujarat again but the 33-year-old says she has forgotten how to be afraid anymore! Maya is a living testimonial of how sheer human will can help a person overcome tragedy and adversity. Maya was pregnant when the wall of her house collapsed on her on a fateful January 26, 2011. She was paralysed chest down. Surgery was performed on her but that did not help. Miraculously, her foetus was safe and two months later she gave birth to a baby girl, Chetna . But her husband abandoned her immediately after saying he was not ready to shoulder the burden of a crippled wife and daughter. Maya’s world collapsed on her once again. Forced to live with her poor parents, Maya would drag herself sitting on the feet and raised her daughter with the help of her mother for four years. Then she was forced to move out to facilitate the marriage of her brother. “I rented a hut and sustained alone on the monthly Rs 500 relief money. Thrice, I decided to kill myself but was thwarted every time I thought about my daughter,” confesses Maya. In May this year, Maya, prodded by her daughter who is 11 now, went to Bidada Sarvodaya Trust. “Burdened by poverty, Maya never sought and got good medical help. We treated her holistically, gave her half calipers and now she is able to walk slowly. She will improve further ,” says Dr Mukesh Doshi of the trust. The trust also pays for her daughter’s school fee, has put Rs 10,000 in fixed deposit and bought her a sewing machine. “I met a couple of businessmen for orders. I hope to earn well. My struggle would be worth it if I am able to educate my daughter well,” says Maya.